Tim is a Master Builder, has over 25 years of experience in all phases of renovation and new home construction. 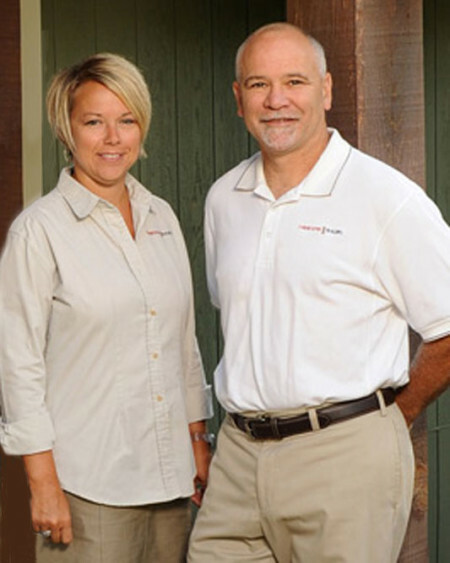 Before joining Cornerstone Builders he owned his own remodeling firm. He has been part of Cornerstone Builders for over 10 years. His primary duties include the overall coordination of field employees, sub-contractors and material orders. Shawna has a degree in design from Radford University. Her primary responsibility is assisting clients in finish products and color selections. She coordinates the cabinets, flooring, tile, plumbing fixtures, light fixtures and paint colors to create a cohesive palate for every project. She is also the assistant office manager, helping Karen with the accounting portion of projects.